Sparked by an early fascination with sewing, a degree from California College of the Arts, and 20+ years in the design industry in San Francisco, Kathleen Heafey created the company which is now Woven Grey. 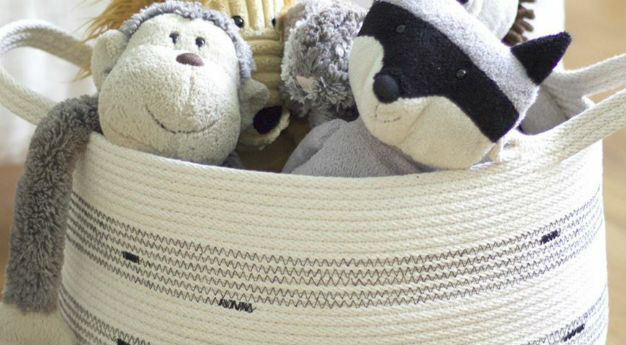 Woven Grey baskets are sturdy yet flexible and are made from 100% cotton. 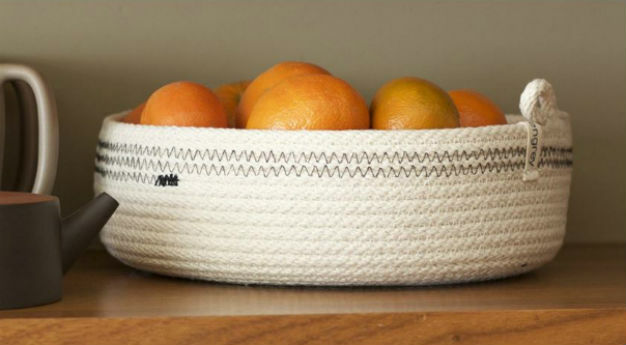 Kathleen sources her cotton and manufactures her baskets here in the United States. 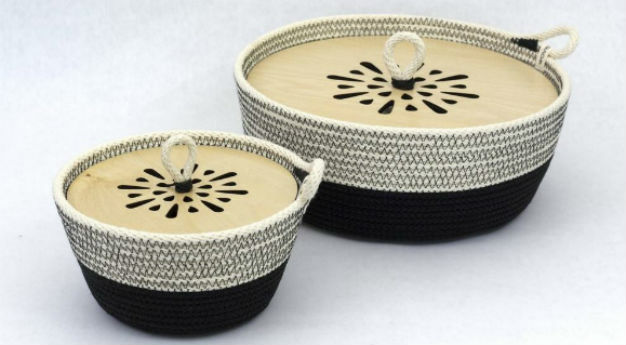 Her elegant design fits into most home designs from farmhouse to industrial and can be used as storage in any room.